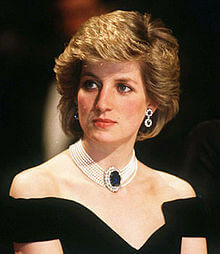 It's been 20 years since the world's most popular Royal, Princess Diana died in a ghastly car crash in Paris. But that horrific day still feels fresh in the minds of her numerous fans worldwide. The details of Princess Diana's last words and final hours have been shrouded in controversy, just like many aspects of her short life. The immediate aftermath of the crash was witnessed by a few first responders on the scene. But bound by proffessional courtsey, most of them have remained silent about the sad and heartbreaking images they witnessed that night. Amongst the first on the scene was a firefighter who attempted to save the dying Diana two decades ago, after her fatal car crash in the French capital. But now, on the anniversary of her passing, he has finally spoken out about that fateful night. Stylish, elegant, compassionate, and beautiful, the beloved British royal who died at the age of 36 in 1997, was not alone in the car. Her driver, and bodyguard, as well as her boyfriend Dodi Al-Fayed were also in the wrecked vehicle. Al Fayed died instantly, aswell as Henri the driver. Only her bodyguard survived the crash with life changing injuries. 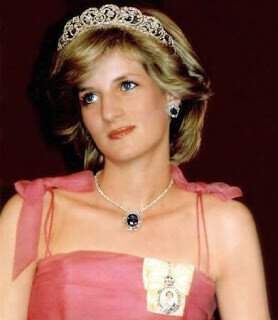 According to former French firefighter, Xavier Gourmelon who was one of the first responders on the scene, Diana was still alive when he arrived at the crash site and approached the car. He revealed this detail to Good Morning Britain on Thursday. For years now, many have long believed it was the camera happy paparazzi chasing Diana’s speeding car that caused the accident, but Gourmelon said there was reportedly no one at the crash site when they arrived. With no cameras in the tunnel to tell us how the accident actually happened, it's hard to be certain of the cause. But one thing was clear—The black Mercedes was moving at high speed at the time. While Gourmelon believed Diana would survive, she lost consciousness again. Back then Newsweek reported the medical team at Pitie Salpetriere Hospital worked for two desperate hours trying to save Diana life.They repeatedly performed internal and external cardiac massage to get her heart pumping again. But her left pulmonary vein which sustained a major wound, had caused massive internal bleeding. There was no hope. She was pronounced dead later. First responder Gourmelon, like many others around the world still wonders what might have caused Diana’s car to crash that tunnel. Many have conveniently blamed the Paparazzi, but that might not be the case. In an attempt to put the numerous conspiracy theories to rest once and for all, Diana's biographer Andrew Morton explained that the Paparazzi did contribute to her death, since they had been following her for most of her adult life, and we're also following her that night in Paris. But they where not directly responsible for the crash. Her driver who had plied himself with drugs and drink before getting behind the wheel, was driving far too fast. In his drugged and drunken state he was really in no condition to drive at all. In a way, with an unstable driver behind the wheel, and moving too fast, the crash was inevitable—sooner or later.